This place is so good, I must tell you about it now. 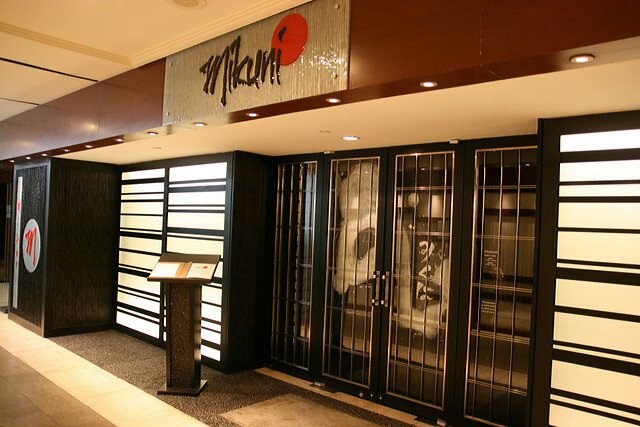 Mikuni replaces Inagiku at the Fairmont Singapore and is seriously one of the best Japanese restaurants in Singapore, for me. 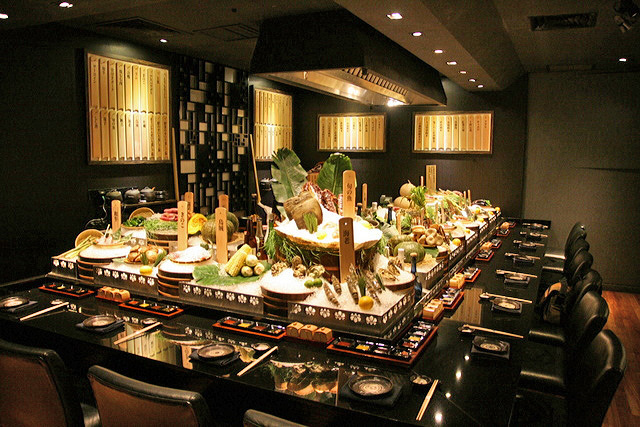 This is their robatayaki room, and it is splendidly breathtaking. I took out my camera immediately. The name Mikuni (みくに) is a reference to Mi (三) Kuni (国), meaning Three Kingdoms. Not so the Chinese version, but a legend from the oldest book in Japan, about a place of wondrous produce from all three realms of earth, sky and sea. 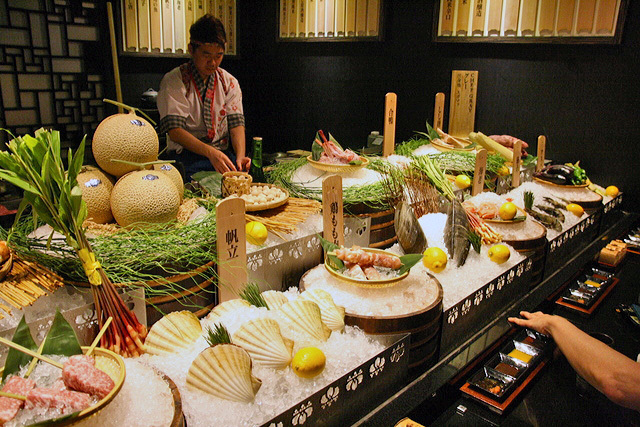 The key focus at Mikuni is indeed the produce - the freshest and best will speak for itself. 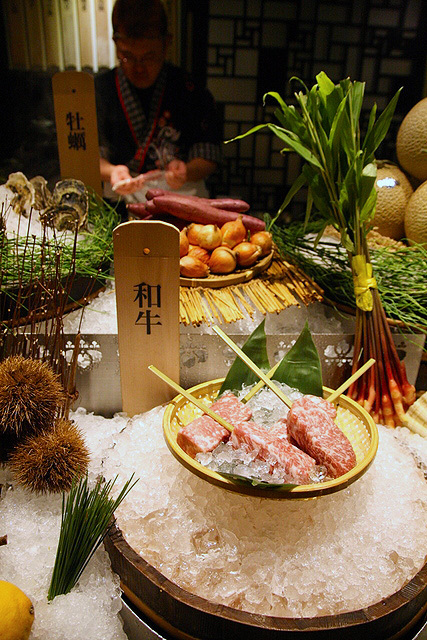 Right now, they are bringing in Hokkaido's best winter produce, and have pulled together a selection of wonderful grill delicacies for a "Winter Robata" promotion. You'll get to enjoy ingredients from Sapporo, Tokachi, Rishiri and Hakodate without having to endure the freezing temperature (although I'd love some of that now in our scorching weather). Here's Chef Yamamoto who is from Osaka. 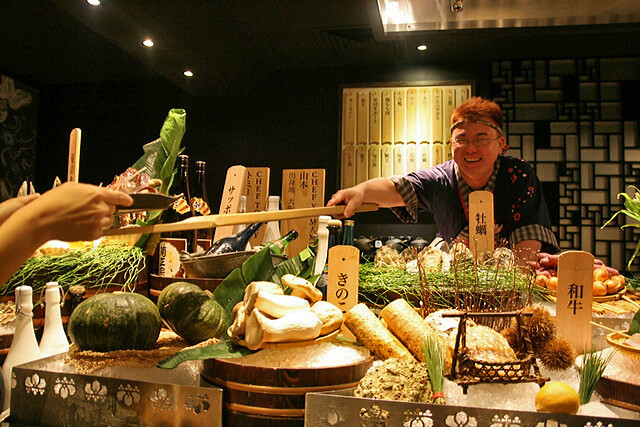 He heads the robata grill operations, and will serve you your food on a paddle and hearty cheer, as per tradition. But before I go into our 11-course kaiseki-like meal, let me show you how gorgeous the restaurant is. Yeah, I really couldn't help but take loads of photos. 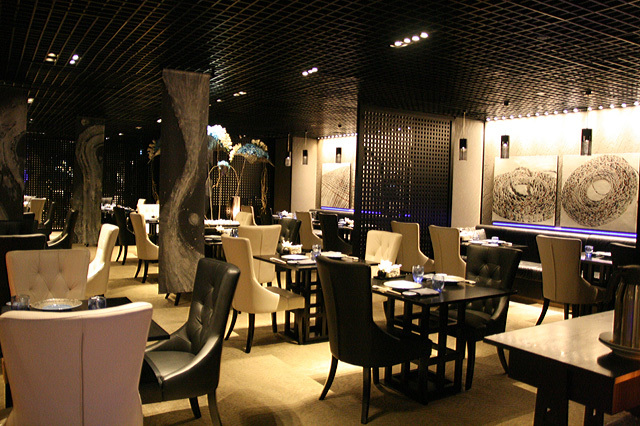 There are several dining areas carved out of the entire place. 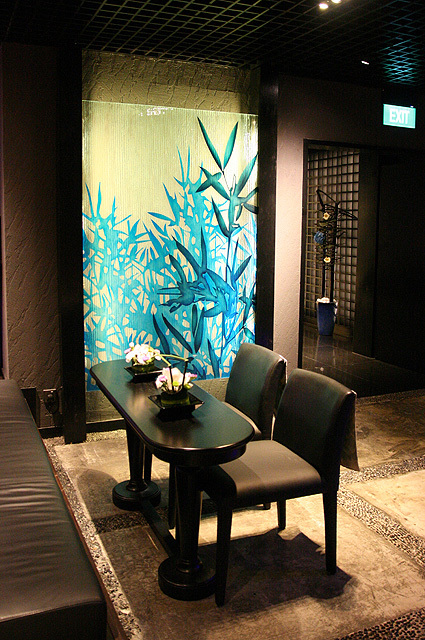 Very classy and elegant decor in bold contrasting hues of dark and light, punctuated by spots of bright turquoise blue. This is near the entrance. 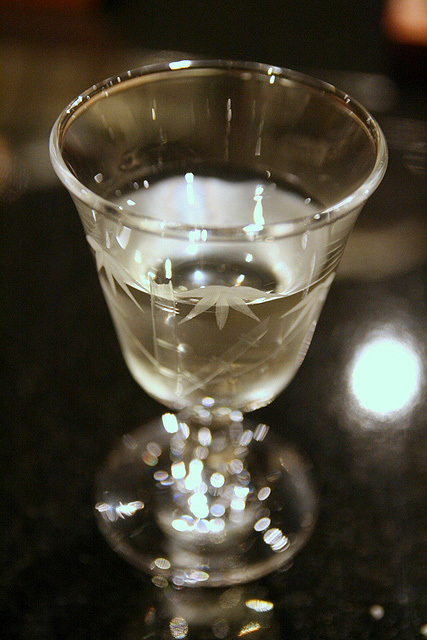 A simple small table near the sake bar for pre-dinner drinks. Love the painting. The sushi counter is also near the entrance, to the right. 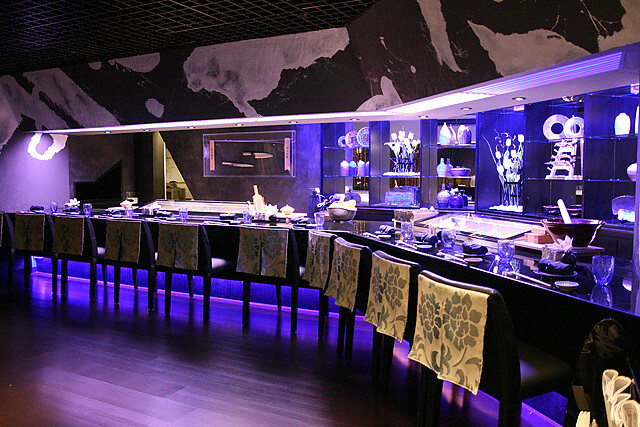 Further in, you will find the teppanyaki counter, where the chef will perform with outstanding flair and precision. There are just so many beautiful details. 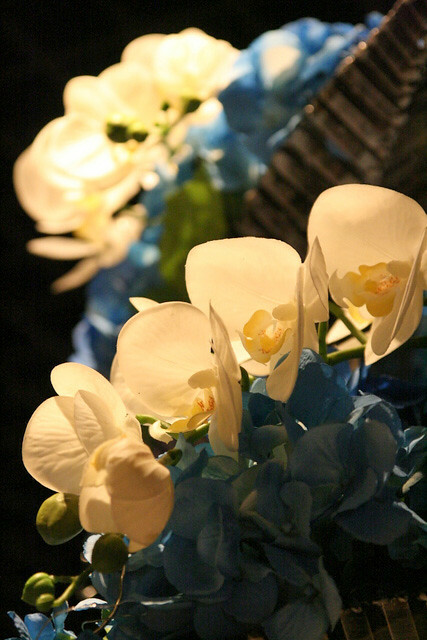 Even the little details, like the flower arrangements above you near the lights. 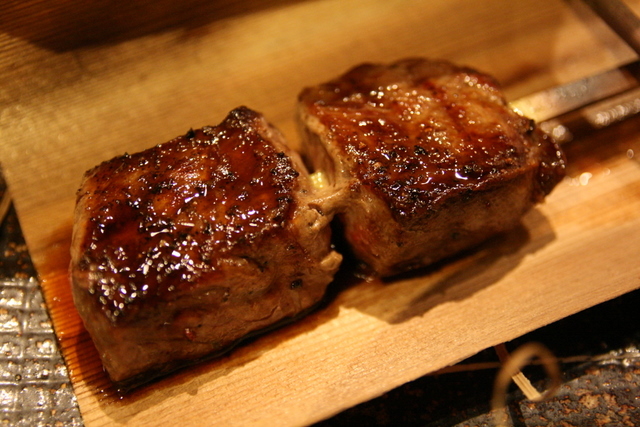 Does Winter Robata make you think of Winter Sonata? Maybe the Executive Chef will. Fresh-faced Korea-born Chef Moon Kyung Soo looks like he just stepped off a K-drama. 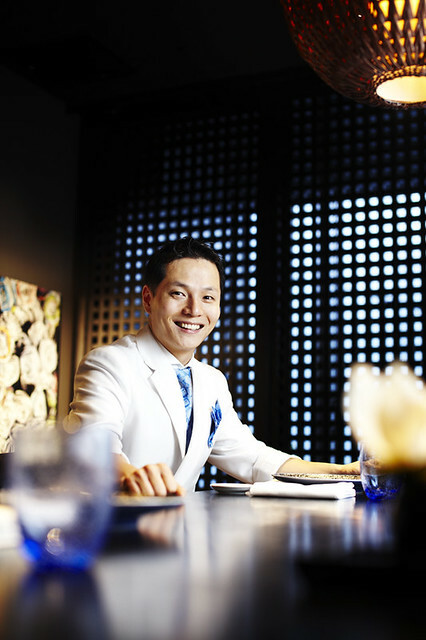 But he brings over 16 years of experience in Japanese cuisine, and was most recently Head Chef of "Hashi" Japanese Restaurant at the Armani Hotel Dubai. 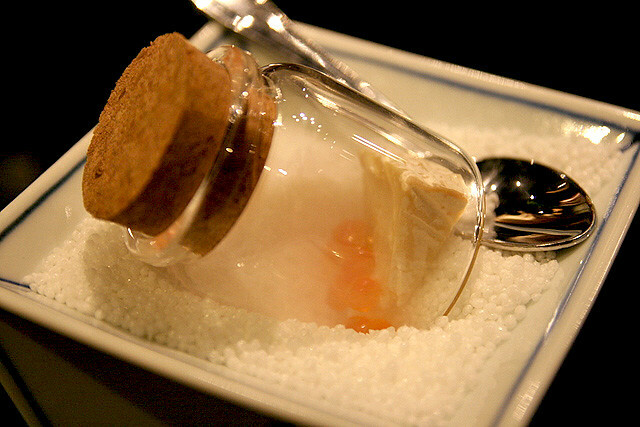 Chef Moon relies heavily on century-old culinary techniques but also ardently follows modern movements in gastronomy. So you'll find a combination of both in the food. Back to the food! With such wonderful produce laid before your eyes, you are already enjoying a visual feast before the dishes arrive. Spotlight on 和牛 wagyu!!! My kind of "lollies", oh yes. 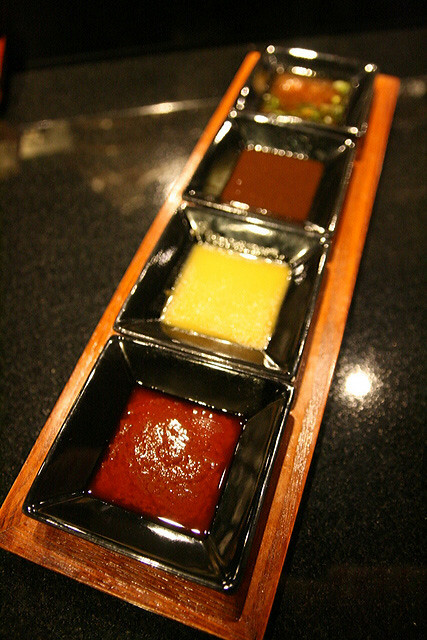 There are various kinds of sauces to go with the robata grills - Aji-panca (a spicy Brazilian style dip), Aji Amarillo (a spicy lemony sauce), aka-miso (red miso), and ponzu. Also, three kinds of flavoured salts (garlic, seaweed and pepper). But honestly, the grilled items were so good on their own, I forgot to use these! OK, on with the first course! 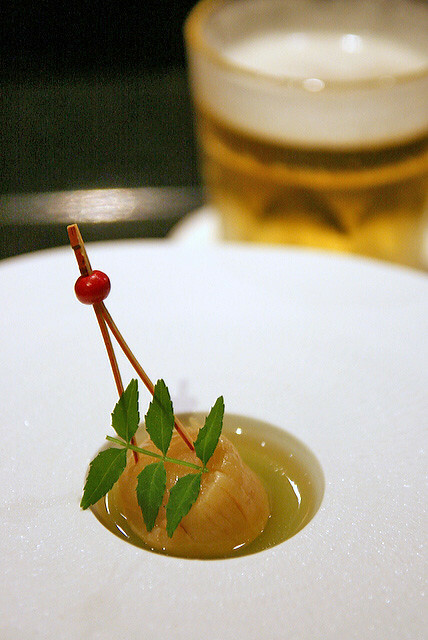 Apéritif: Sapporo Classic Beer with Dry Scallop. What an umami mouthful. The dry scallop is nicely tender with just enough chewy interest. 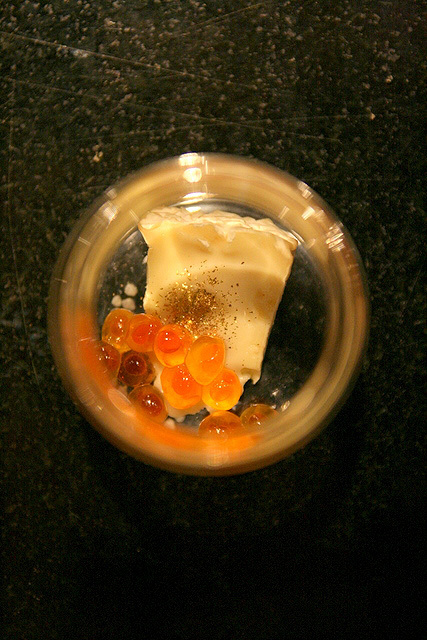 Starter: Salmon Roe with Hokkaido Smoked Camembert Cheese. They've managed to seal this mini-jar with smoke inside! Firstly, the whiff of aromatic charcoal smoke greets your nose, and then you taste the delightful smoky hint in the roe and cheese. Yes, it's some real "Camemberu" in there - Camembert cheese from Hokkaido! Very few people catch the meaning of my blog name. They either don't know Camembert cheese, or don't know it's a Japanese word. But that's ok. I quite like it being mysterious and unpronounceable. I do have to say Japanese dairy products are just amazing, as are many things the Japanese adapt and make their own. I like. Very much. 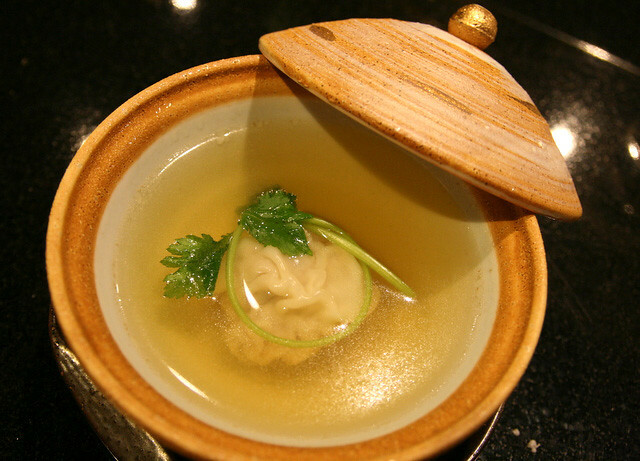 A very "cheng" or clear-tasting broth with a lovely dumpling. Warms you up nicely. How do you describe freshness? 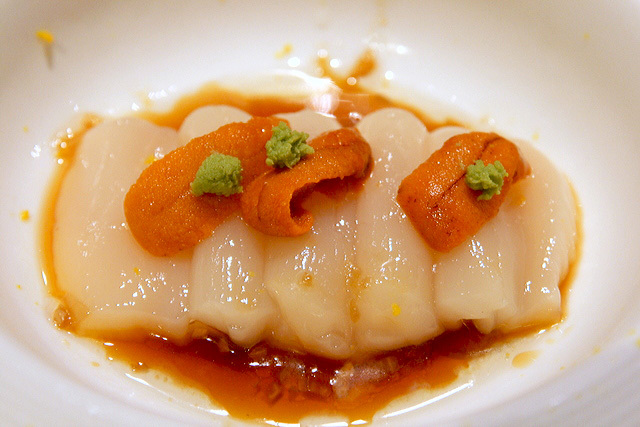 The scallop is that lovely balance of tender and firm, so refreshing and sweet. And the uni is the absolute best I have ever had. I don't even like uni at most places, but this is superb stuff. This Sapporo classic is normally a hotpot dish, but Chef Moon has given it a Robata twist by soaking the salmon with various Japanese vegetables and mushrooms. He wraps them in cooking leaves and grills them ever so lightly. The salmon is incredible - the surface is elegantly and delicately crisp, giving way to tender flesh. The minute you eat it, you wonder why you can never get this kind of perfection at home. And the miso ensemble is an intense burst of flavour. 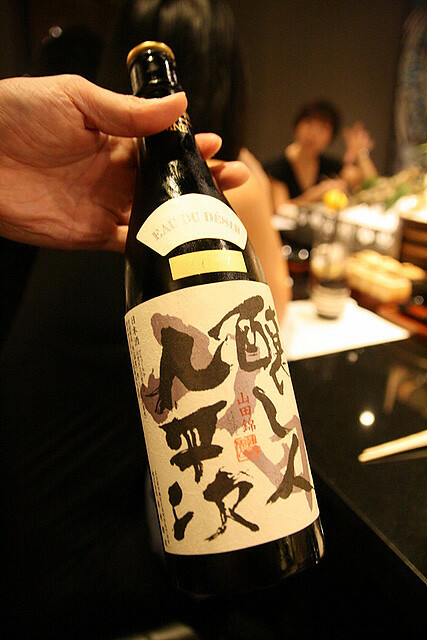 Mr Nobuhiko Sano, Mikuni's General Manager is their resident Kiki-sakeshi (certified sake sommelier). 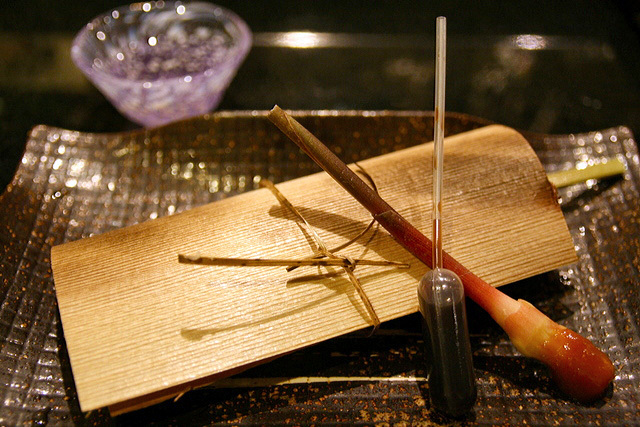 He can help recommend sake to be paired with your dishes. This one is really great with the salmon - it's almost like white wine, with a sweetish tinge. 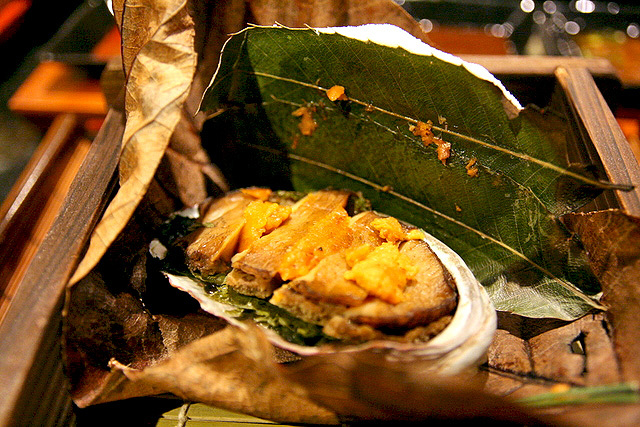 This succulent large clam is grilled in a sublime butter onion sauce. It's been conveniently cut into bitesize chunks, so just tuck in and enjoy. Pomme noisettes with a creamy crab centre? Yum. You know that three is just not enough! The exterior is very crunchy, and the insides practically molten. Be careful though, they are served piping hot! And now from Tokachi: a lovely package...calls to mind images of samurai carrying lunches of onigiri or tonjiki wrapped in bamboo leaf, but this is certainly far more elegant. Wagyu Beef with Hokkaido Wine Sauce! Squeeze some of the sauce in the dropper onto the meat, and enjoy it with a bite of the young ginger root provided. The robata grill crisps the surface of the beef, but the inside is so full of juices. Well, the samurai never got to eat this for sure! Chef Moon really knows how to extract the maximum from every ingredient. 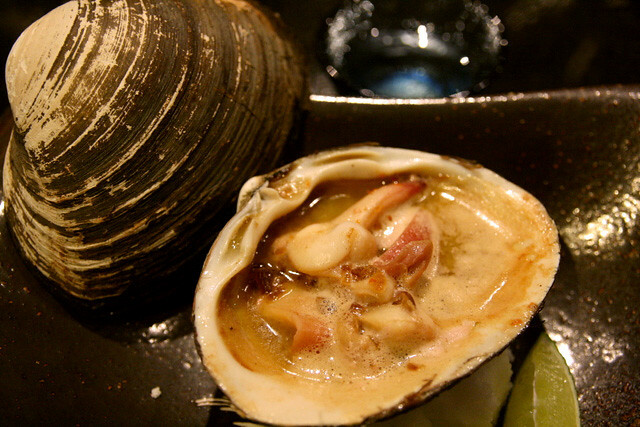 He steams the prized abalone in sake for five hours to achieve a tender and creamy texture. 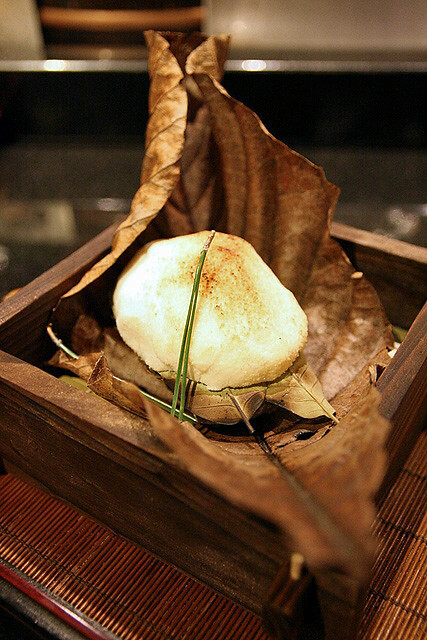 The shiogama is a traditional Japanese salt cauldron that keeps both abalone and uni moist while being grilled. 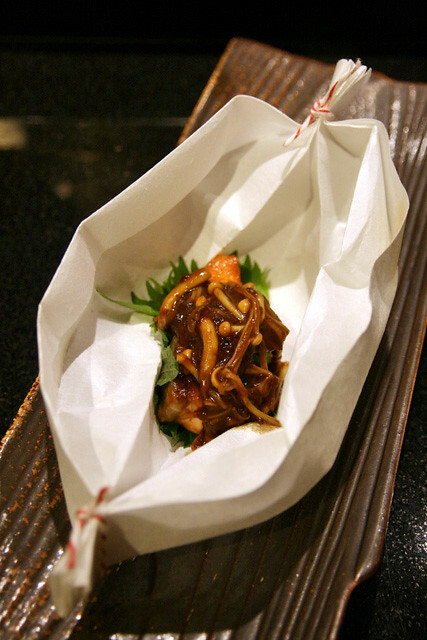 Imparting flavour to the seafood is a shiso leaf and bed of seaweed underneath. The result? Great taste and texture for the abalone - more like mushroom, less like rubber (as often happens in many places). The uni is nice for a touch of flavour, but I think it's still better eaten raw, like in the sashimi earlier. 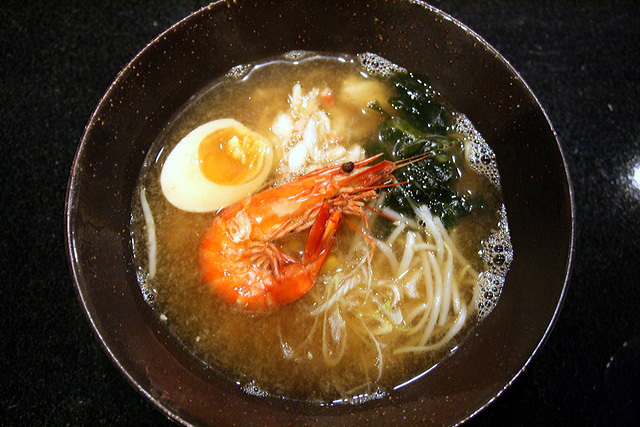 The broth has undergone 16 hours of preparation, but feels surprisingly light. The highlight of this dish is actually the egg - so silken and flavourful. It is melt-in-your-mouth. Even people who hate runny eggs will fall in love with this. You know they used Hokkaido milk for this. It just tastes different. 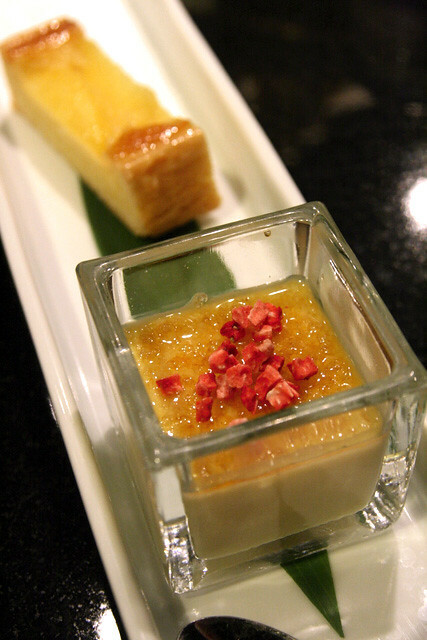 The milk pudding is so fragrant and sweet, you'll be scooping every last bit. The apple cake is just so-so, after all the spectacular dishes that came before it. 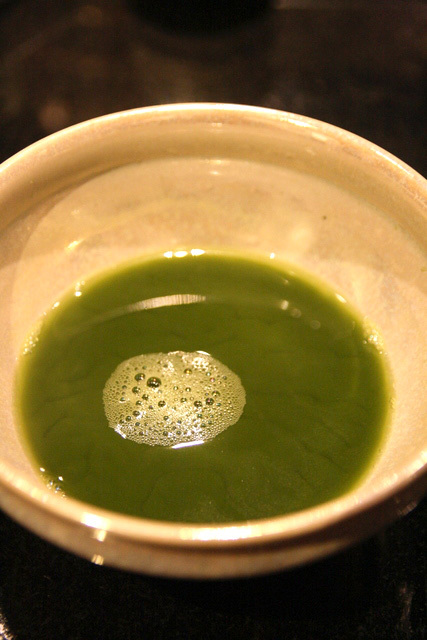 Final palate cleanser of matcha. 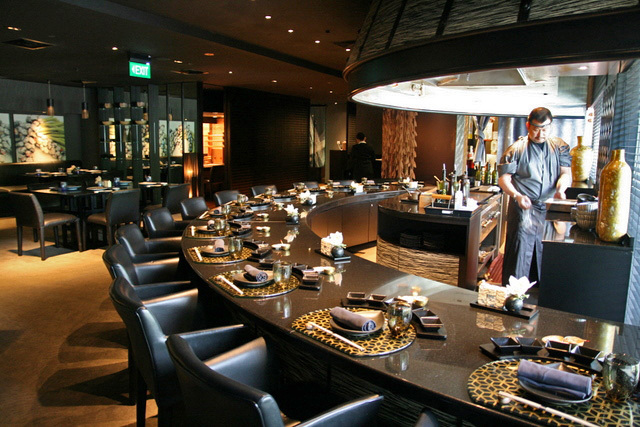 priced at $280+++ per person and $350++ per person with sake pairing. 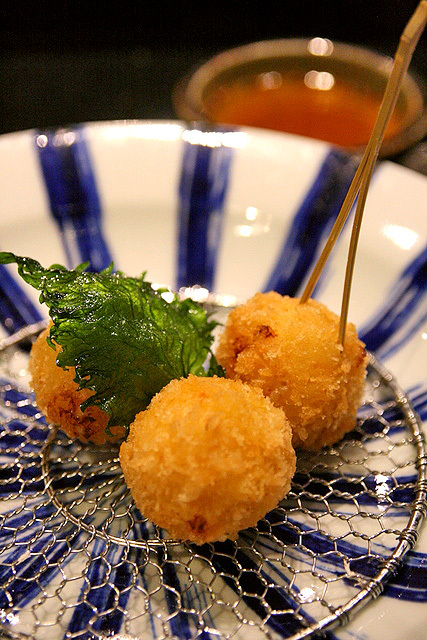 It's a short promotion, as this is the time period the Hokkaido winter produce is at its optimum. Ah Mikuni, I so want to come back. Many thanks to Kit Lei and the team at Fairmont for hosting the media tasting. Chef Moon's photo courtesy of Fairmont Singapore. this place is so good only because you dont have to pay for your food. That's OK. You don't have to believe me or anyone's reviews, whether good or bad. The real test is in trying things for yourself. I'm already making plans to go back. It's definitely a place I would go for a special occasion. Wow! Wonderful review and pics! I leave my cats in the rig when the rig gets serviced. I put them behind the bathroom door latched open so they have the whole rear to look out. Then give the service people notice NOT to open that door. Amarillo roofing company.The cats do much better this way. But I'm impressed Baby is harness trained... Enjoy your travels.